A comprehensive study into hospital care found serious and fatal medical errors are occurring at the same rate, despite new programs implemented to improve patient safety. The study analyzed patient care in 10 North Carolina hospitals from 2002 to 2007 and found no decrease in medicine errors, hospital-acquired infections and other medical mistakes. The study is said to be one of the most thorough assessments into patient safety since 1999, when the Institute of Medicine released a report that found medical mistakes caused 98,000 deaths and over 1 million injuries annually in the United States. The study will be published this week in The New England Journal of Medicine. The research team focused on North Carolina hospitals because compared to other states, it has seen more patient safety initiatives. But the study still found medical errors and medical malpractice in a large number of cases. The study reviewed records of 2,341 patients admitted to the hospitals and found 18 percent had been harmed by medical malpractice, some more than once. Of these, 63.1 percent of injuries were preventable and 2.9 percent of patients suffered permanent injury, such as brain damage. Some 2.4 percent of medical errors caused or contributed to the patient’s wrongful death. Medical errors also increased costs by extending hospital stays for 42.7 percent of patients. Medication errors caused 162 problems. Computerized systems for ordering medication can eliminate up to 80 percent of errors, the study’s author, Dr. Christopher P. Landrigan of Harvard Medical School told The New York Times. Only 17 percent of hospitals use these systems. But Landrigan said the number of medical errors is likely even greater than his study revealed because patient reporting is voluntary. He called for a monitoring system at the federal level to identify more mistakes. The study further noted that many problems were caused by the hospitals’ failure to use measures designed to prevent mistakes and wrongful deaths. Landrigan said safety protocols and checklists are fundamental to improving safety. “Until there is a more coordinated effort to implement those strategies proven beneficial, I think that progress in patient safety will be very slow,” he said. The Boston medical malpractice lawyers at Breakstone, White & Gluck are experienced at handling complex cases of medical malpractice, surgical malpractice and hospital errors. If you have a case, contact us today at 617-723-7676 or use our online form. 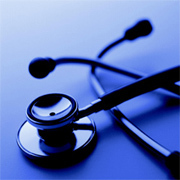 Tagged: "Boston medical malpractice lawyers", "medical malpractice" and "medical mistakes"